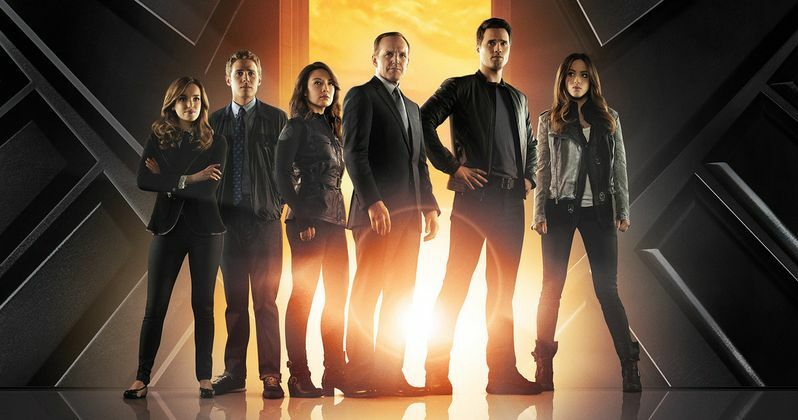 Marvel fans will get a first look at the Marvel's Agents of S.H.I.E.L.D. finale when ABC airs a special sneak peek during their upcoming behind-the-scenes special Marvel Studios: Assembling A Universe. This one-hour expose will lift the veil on comic-media empire, which also promises to tease new footage from Captain America: The Winter Soldier and Guardians of the Galaxy. Marvel Studios has pioneered and broken box-office records around the world, creating a cinematic universe unlike any other in pop culture history through its blockbuster films. Beginning with Iron Man in 2008 and continuing today through Marvel's Agents of S.H.I.E.L.D. on ABC and the theatrical release of Captain America: The Winter Soldier this April, the Marvel Cinematic Universe presents audiences with some of the most groundbreaking and dynamic storytelling that brings an unprecedented vision to the world of entertainment. Marvel's first television special documents the exciting story behind Marvel Studios and the Marvel Cinematic Universe, featuring exclusive interviews and behind-the-scenes footage from all of the Marvel films, the Marvel One-Shots and Marvel's Agents of S.H.I.E.L.D. Viewers will walk a clear path through this amazing and nuanced universe, featuring sneak peeks at the future of Marvel's Agents of S.H.I.E.L.D. on ABC, new footage from Marvel Studios upcoming theatrical releasesCaptain America: The Winter Soldier and Guardians of the Galaxy and a sneak peek at the upcoming Marvel's Avengers: Age of Ultron. Marvel Studios: Assembling A Universe is broadcast in 720 Progressive (720P), ABC's selected HDTV format with a 5.1 channel surround sound. A TV parental guideline will be assigned closer to the airdate.